While being a game of the past, The Timesplitters series has been an amazing success. Though some may be unaware of what this game is, it doesn’t mean this game doesn’t deserve the prestige it has received. The first-person shooter franchise started with the first Timesplitters, which was originally released in the year 2000 for the PlayStation2. This game may not have very good graphics but it’s the game play that counts. 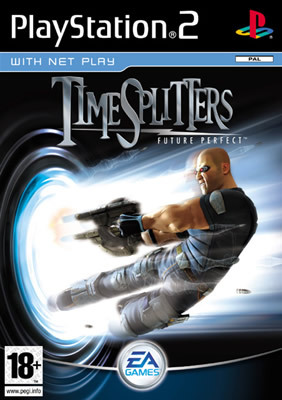 Timesplitters has an amazing score with the game play which includes an easy to follow storyline that has levels with different years to base their theme, ranging from 1935 to 2035. Along with that is a challenge mode, and an arcade mode (freestyle mode). Not to mention an extremely extensive number of characters. The first Timesplitters isn’t what has caused its fame. The second installment is when things started to get a little better, along with better graphics. The second is just as good as the first, but with better graphics, more characters, and a story with the years 1853 to 2401, which is much more extensive than the first. Finally there is the third. Timesplitters: Future Perfect is my personal favorite game of all time. It’s seems much easier to control then the others. The story line is updated with years that go back to 1914. It strictly follows a special history of eras such as The Machine Wars, and a zombie inhabited era, that is used throughout the entire series. The story also automatically goes to the next level after you complete the previous one, unlike its descendants. This installment has about 150 playable characters, including things like a giant sock, zombies, robots, humans, cross-dressing humans, monkeys, robot monkeys, zombie monkeys, ninja monkeys, cookies, snowmen, chicken flesh cages . . . need I say more about the extensive amount of characters? There are many weapons as well, including bricks, rifles, machine guns, pistols, snipers, rocket launchers, and some other indescribable weapons (Monkey Gun anyone?). Beside all of this, the challenges never seem to end if you like unlocking everything and getting the best score in every mode. Have I not mentioned modes yet? Throughout the entire series, you can either just kill or be killed. Or you can play flame tag, assault bases, have some monkey assistants, or steal from other players. There is yet more, but you should play the game if you really want to know. If you don’t like the way some stages are set up, you can make your own with one of the most advanced stage builders I have ever used. Yet it is still extremely easy to use. If all of this isn’t enough, Timesplitters has online play with up to 16 people. If you have or prefer GameCube like me, then you can use a special device that allows online play. However, not very many people play online anymore considering the game was released in 2005. The down side of Timesplitters is that the graphics can sometimes be disappointing, though still decent. The music isn’t the best and is sometimes even annoying, but it usually fits the theme well. Sounds and voices are repeated often, making characters occasionally as annoying as CPU’s (pointing at the snowman). But beside those cons, this game has amazing overall game play. If you don’t own this game already, consider buying it! This game doesn’t get around very much so you may need to resort to eBay. As long as you own this game, your entire gaming life will live on. Bottom Line: I give this game an overall rating of 8.2. Good job Crytek. Now if only you stop putting Timesplitters 4 on hold and get busy. FYI: This game is rated M and rated R by rental stores. If you aren’t into games including gory content and foul language, then I do not recommend this game.